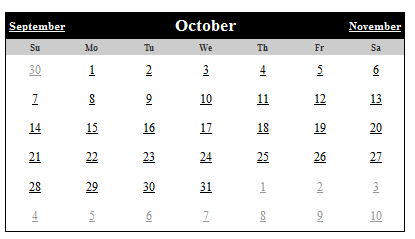 Calendar control is available in asp.net. You can set "asp:Calendar" control on page and set it's various properties. In this example we put calendar control and set it's properties. BorderColor="Black" DayNameFormat="Shortest" Font-Names="Times New Roman"